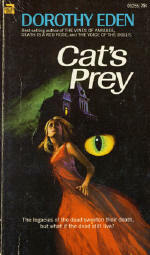 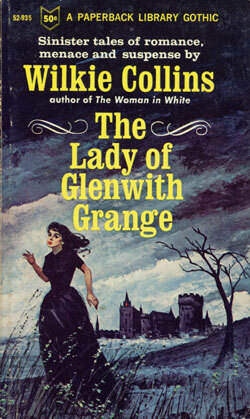 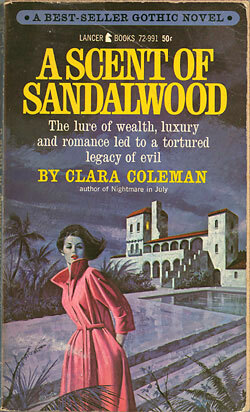 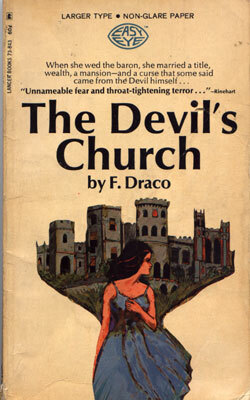 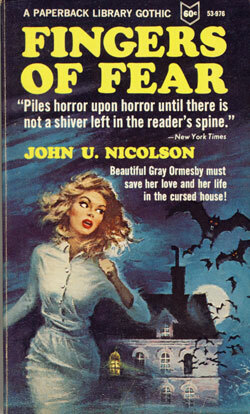 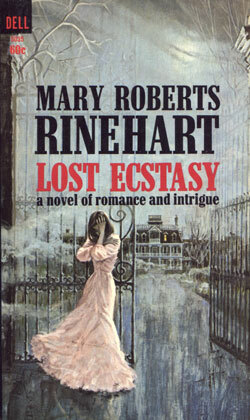 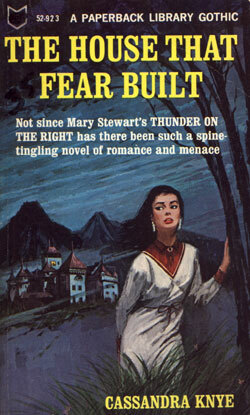 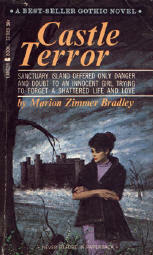 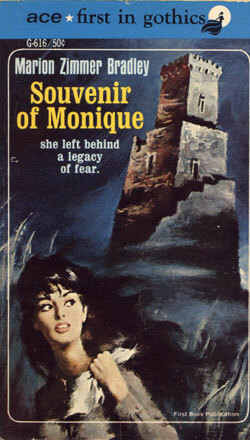 The early 1960's saw a change in readers' tastes, as well as a change in paperback cover art. 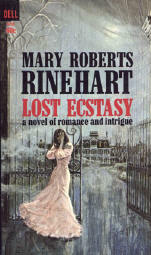 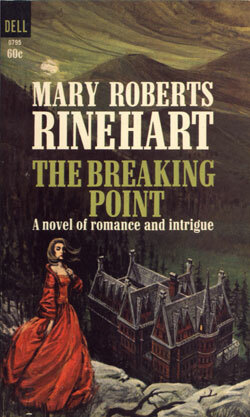 One of the most popular genres was the "romance" novel. 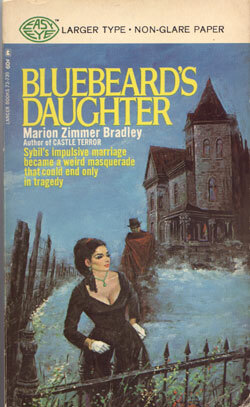 Harlequin, of Canada, dropped all other literary types and began printing only romances beginning in 1960. The old pulp magazine "range romance" (which Dwight Eisenhower supposedly liked to read) gave way to the "nurse" romance, romance mysteries, and even a few sci-fi romances. 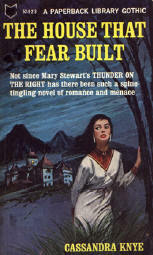 One of the fastest growing of the lot was the Gothic Romance, which was full of spooky, isolated houses and new husbands who always had a sinister hidden family secret. 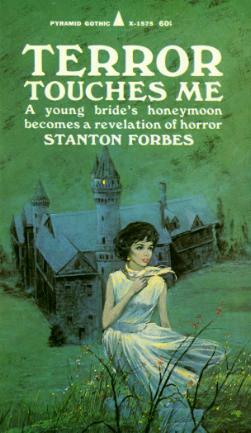 It isn't really certain which was first, but it became generally known among publishers that a Gothic novel would sell better if it sported a certain type of cover art. 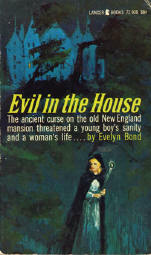 The standard became a picture of a pretty, scared woman, always wearing a dress or nightgown (usually white), running away from a large, multi-storied house on a hill at night, often casting a worried look back over her shoulder. 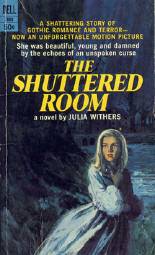 According to Piet Schreuders' book, Paperbacks, U.S.A., Donald A. Wollheim, editor of Ace Books, claimed he could increase sales 5% if there was a single light in one upstairs window of the otherwise dark house. Schreuders continues (I quote page 114): One popular Gothic author tells a wonderful story about the immutability of the Gothic Cover: "Once, just to see what would happen, I wrote a story set in a suburban ranch house in a densely-populated valley, with every single scene taking place in broad daylight; the heroine was a short-haired redhead who wore jeans throughout the entire book. 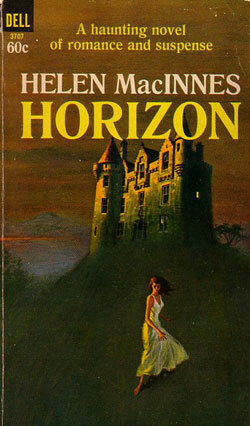 But when the paperback came out, sure enough, there on the cover was a long-haired blonde in a flowing white dress, haring away from some frightening mansion at the top of a lonely hill in the dead of night!"